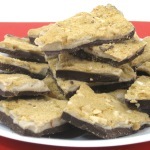 This popular Christmas candy has become one of our most requested holiday gifts. 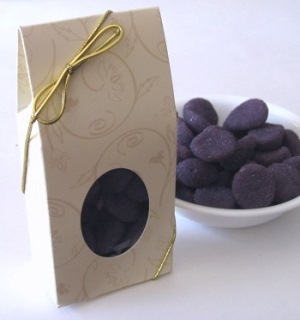 We can hardly keep enough gift boxes of sugar plum candies available, so please, if you're excited about enjoying sugar plum candy with your family over Christmas, order early. 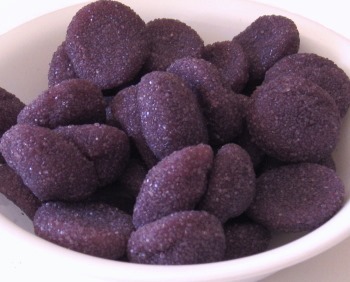 These sugar-coated plum jelly candies resemble the sugar plum fruit. 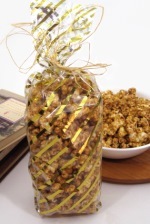 They're wonderful to have on hand as the perfect complement to a reading of Twas the Night Before Christmas. You know the line, "...as visions of sugar plums danced in their heads." 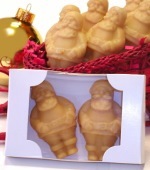 A fun holiday candy gift for box children and adults. Available in November and December only. For a look at the sugar plums, click on the gift box image to enlarge. 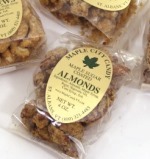 Maple Sugar Coated Nuts, 4 oz. pkg.